One of NASSAU’s basic goals is to provide a service of doors that meet the uncompromising demands we make on the quality, function and safety of the ports. That’s why we offer service agreements. 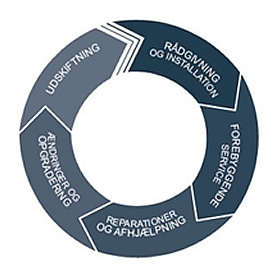 Regular, preventive inspection significantly extends the product’s lifetime. Therefore, you can advantageously enter into a service agreement which means that the door is regularly checked, adjusted and lubricated. Depending on your needs, a number of different types of agreements can be made to ensure that your door gets what it needs – neither more nor less. 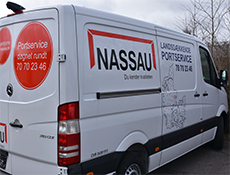 If you want an offer or more information on a service agreement, please contact us at service@nassau.dk or by phone +45 62 62 23 46. Contact us and receive your offer today.